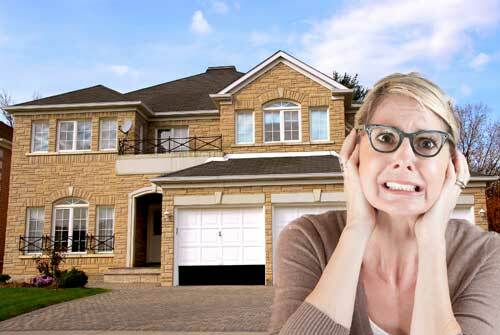 It’s not surprising that garage doors have built up a list of misconceptions around them. But did you know that in most cases, your garage door is the only thing separating your home from robbers or prying eyes? Over the years, garage doors have been engineered to become the best way to protect your property. Yet people still seem to think that these common myths are actually true. Today, we are going to debunk the myths and set the record straight. All garage doors are the same – if you’ve seen one, you’ve seen them all. Fact: Garage doors come in various styles, colours, and forms. And believe it or not, every garage door operates a bit differently, too! 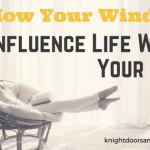 You and your neighbour could even have the same garage door, yet they operate completely different – there are many factors that play a role. Garage doors can be fixed by anyone who knows how to fix doors. Fact: Garage doors have their own trained specialists. Would you want to take your car to someone who fixes a computer? How about taking your cell phone to be fixed by someone who does home repairs? 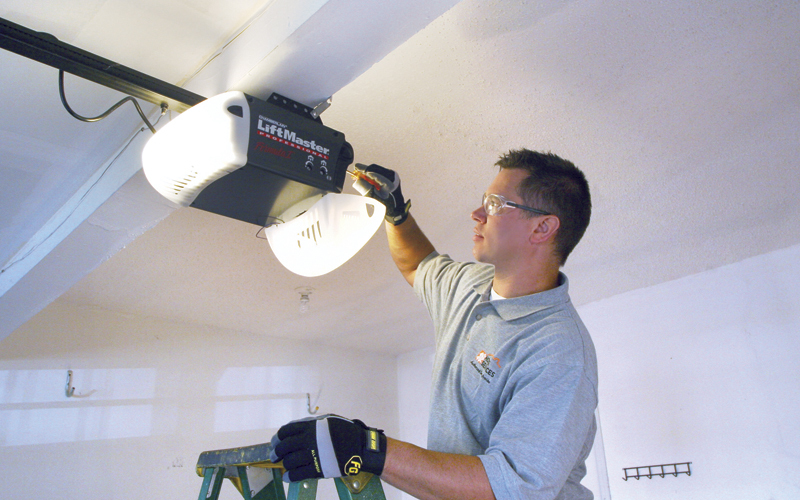 You wouldn’t trust just anyone to fix these items, so why would you when it comes to getting your garage door repaired? Just because someone knows how to install and repair an entry door, it doesn’t mean they know how to fix your garage door. Both have very different parts and mechanisms. 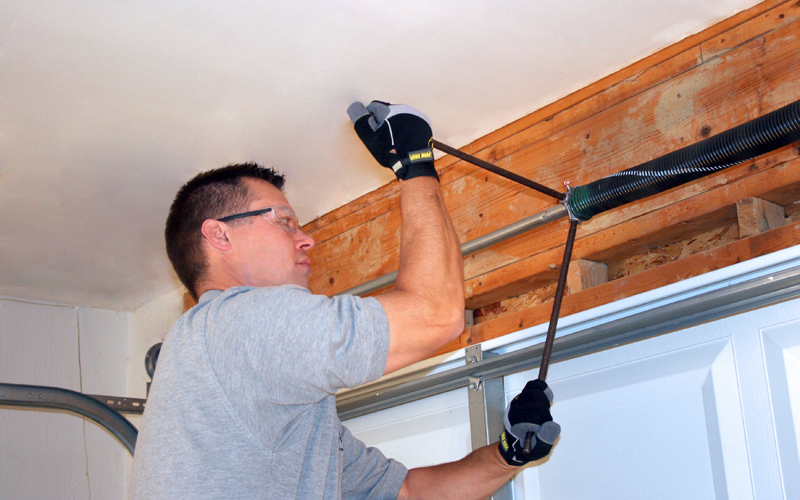 By not hiring a garage door specialist, chances are your door won’t be fixed properly. This can result in you spending more time and money on problems that could have been avoided. My garage door is way too noisy! Of course, your door will make some noise when it is opening and closing. Excessive noise from your garage door should have you calling in a garage door specialist to take a look. There could be something wrong with your opener or door that could prevent you from using it safely. Garage doors are not pretty to look at. Fact: There are so many visually appealing garage doors available for you to choose from. Have you seen what a Canyon Ridge garage door from Clopay looks like? How about an Avante? If not, then you haven’t been doing your research! 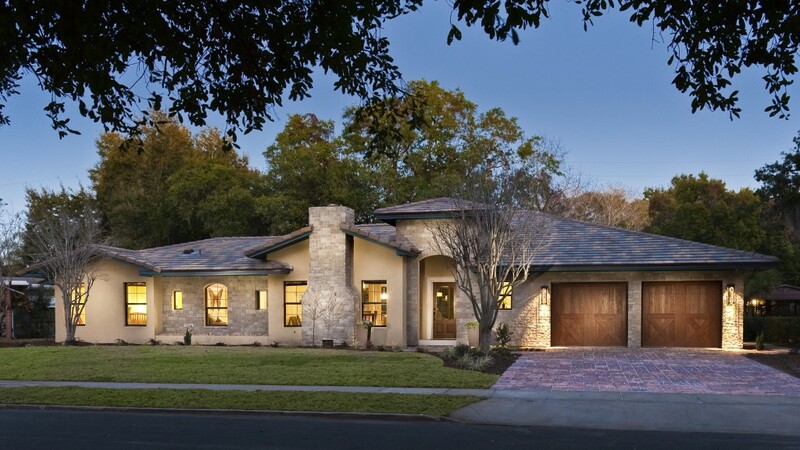 Garage doors can enhance your home’s appeal immensely. (Which is why we have written posts on this exact subject!) These doors are usually the first thing people notice about your home when they pull up. If your garage door is falling off its hinges or looks like it needs a paint job, people are going to notice and you’re going to be embarrassed. But if you have a door that compliments your home, you no longer have a reason to be! You can view some of the options we have here – Trust us, these aren’t all your boring old garage doors anymore! Garage doors are maintenance free. Fact: You should get your garage door checked once a year. Yes, your door is meant to withstand the elements, just like any other exterior part of your home. But this is no reason to neglect your garage door. 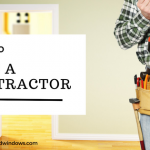 Your door has many components, and neglecting them can cause problems or even injuries. You should also lubricate all hinges, rollers, and tracks semi-annually. Visit us today to pick up a can of door lubricant. Download a copy of the Monthly Maintenance Checklist here. If you have any questions, or would like us to come and perform garage door maintenance, please do not hesitate to contact us.